Slimline multidecks are the perfect way to display your chilled produce for convenience retail. With large open fronts and tiered shelving, multi decks can increase your customer impulse spend by allowing easy access to products.in high volume areas. 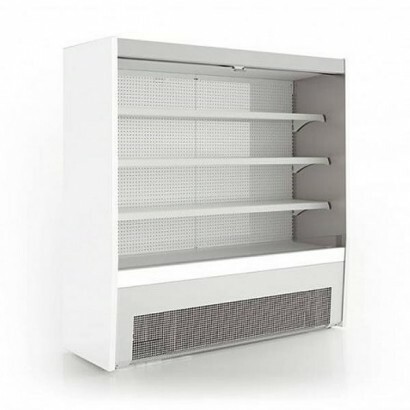 With the same great features as a standard multideck the slimline multideck has a narrow depth making the cabinet less intrusive and able to fit through a standard sized doorway. 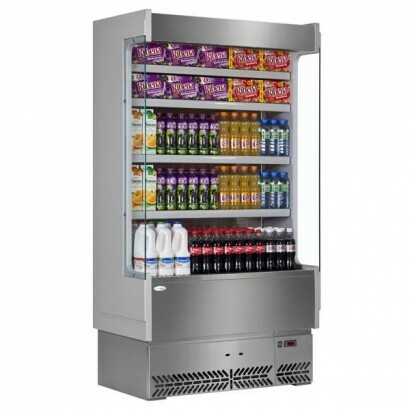 The Frost-Tech silver steel slimline open fronted multideck fridge is sylish and robust. 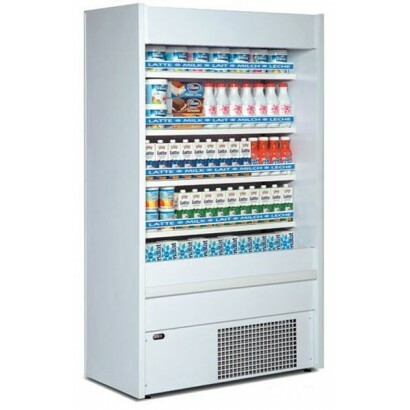 Frost-Tech ..
A slim line open deck display fridge standing to only 580mm deep. 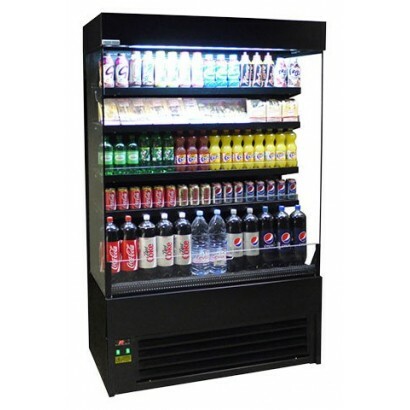 The unit is supplied with manual n..
A fantastic space-saving full height chilled display. Standing on a depth dimension of only 580mm th..
Frost-Tech slimline open fronted black display units are stylish, robust and ideal for coffee shops,.. 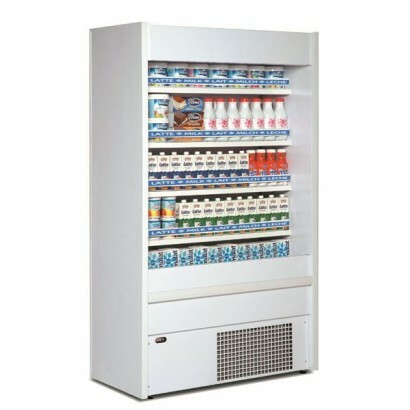 Stylish Italian design open fronted display chiller. With a slim design the unit is ideal for small .. 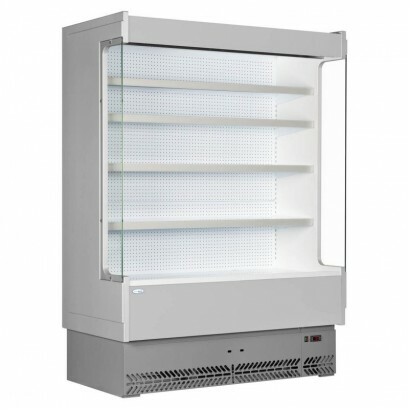 Stylish Italian design 0.7m open fronted display chiller. 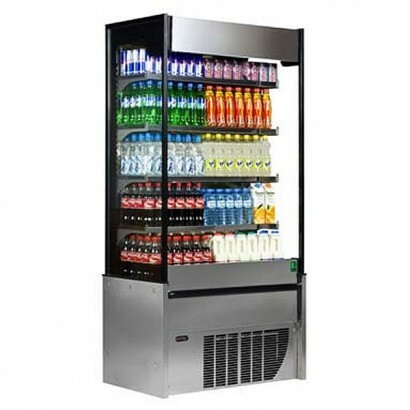 With a slim design the unit is ideal for s..
A full height open deck chiller finished in polished stainless steel. 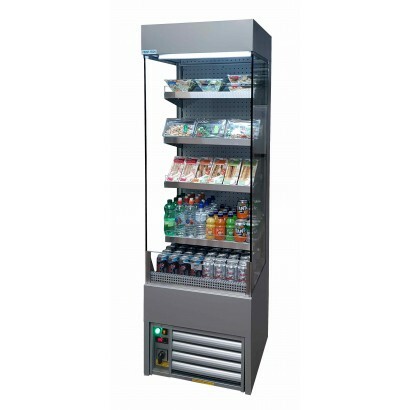 This 0.7m wide cabinet stands ..
A great value open deck chilled display ideal for the retail of a host of convenience foods. The uni.. 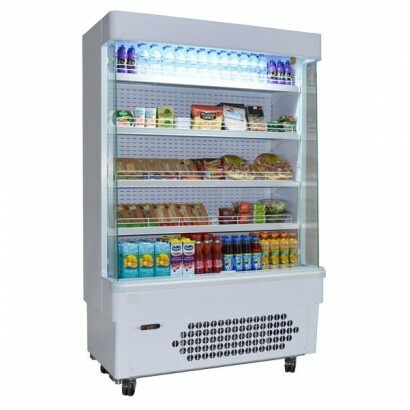 The Framec SMALL 90 Slimline White Multideck is finished in white, available in three sizes and supp.. 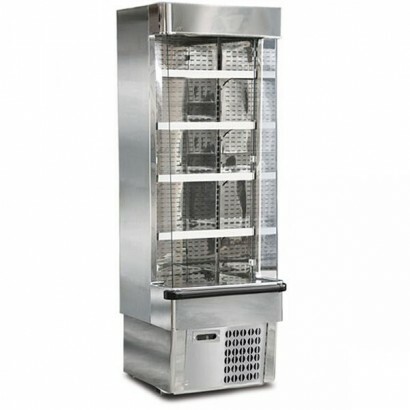 The Framec SMALL Slimline Stainless Steel Multideck comes in three cabinet sizes with four adjustabl.. 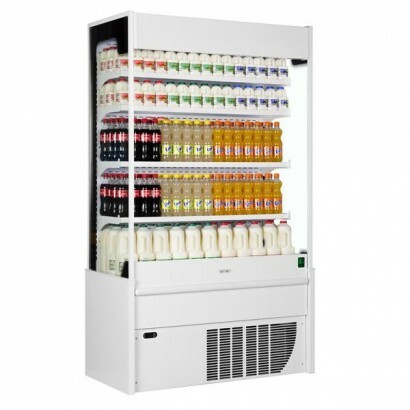 Perfect for small shops the ES System K Vera-RCV100 is a slimline multideck with a large display are..
A full height open fronted chilled display finished in white laminate. Three cabinet sizes are avail.. 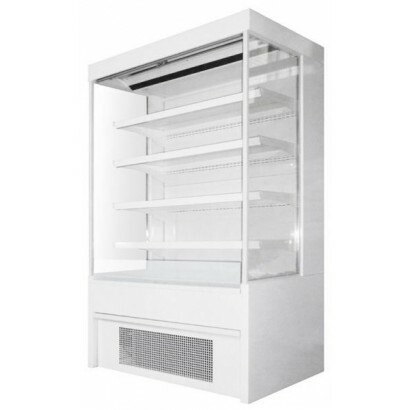 The Valera Pronto MD Slimline Multideck is only 680mm deep meaning that this unit can easily fit thr..
Part of the Interlevin Italia range, the SP60-100 is a one metre open deck chiller slimline multidec.. The ES System K Vera-RCV120 comes with a manual nightblind, ticket strips and automatic defrost as s..
A stainless steel slim line multideck ideal for boosting impulse sales in cafes, coffee shops or con.. The popular great value 1.33m open deck chiller ideal for a range of chilled convenient produce. The.. Standing to only 580mm deep the Mondial Elite Slim 110L is ideal for cafes, coffee shops and conveni..
A 600mm deep multideck chiller ideal for coffee shops and cafes where space is a premium. The unit i..